Ultra rare, ultra cool, ultra co-op! Livelock is officially out on Xbox One, PC and PlayStation 4. The three player co-op shooter is a fun and well polished title with some spiffy visuals to boot. Today we've got a really special giveaway courtesy of publisher Perfect World. 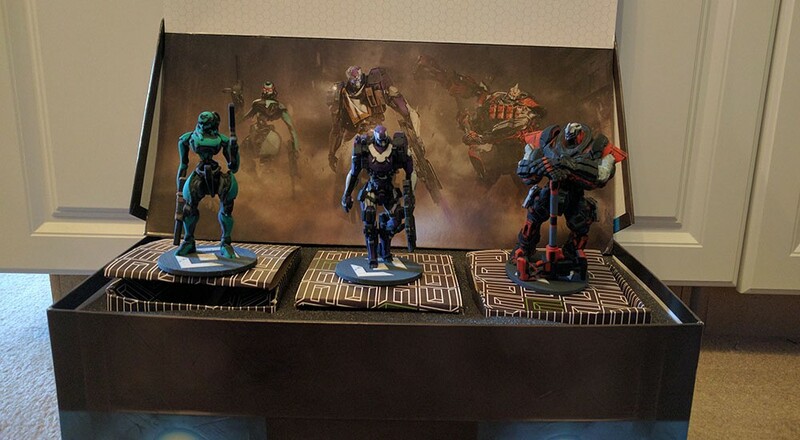 We're going to giveaway a Livelock chest that contains three custom painted figures from the game. Hex, Vanguard, and the Catalyst are all here along with three Steam codes to download the game and give to your friends for some sweet co-op action. To win, just click the Enter Contest button below and fill out your info. You can enter once per day until the contest ends on Monday, September 5th. Good luck!